THE MISSION of RIGHTEOUS RIDES is to further the spread of the gospel message of Jesus Christ by assisting evangelistic organizations in meeting their transportation needs. Their primary ministry is leasing reliable minivans to evangelical missionaries for use during their trips home from the field. Missionaries have a temporary need for a dependable vehicle while they are home on furlough. Rather than face the challenge of finding reliable transportation, finding the funds needed to buy or rent it, and trying to maintain it, Righteous Rides will help alleviate those stresses. When missionaries know they will be flying into St. Louis, MO or Dallas, TX, they can REQUEST a vehicle from Righteous Rides, who will meet them at the airport when they arrive. They also coordinate all of the paperwork and insurance for them in advance. The fee for the vehicle is currently $250 per month. HOW CAN YOU HELP? If you have a car or van you are considering trading in, you can donate the vehicle to Righteous Rides and receive a tax deduction for its full market value, and then go shopping for a new car without the hassles of negotiating on a trade-in. Righteous Rides will even remain in contact with you, and update you periodically on how your donated vehicle is being used. For more information on how to donate a car, check out their WEBSITE. If you would like to make a monetary donation to the ministry, please visit the DONATE PAGE. 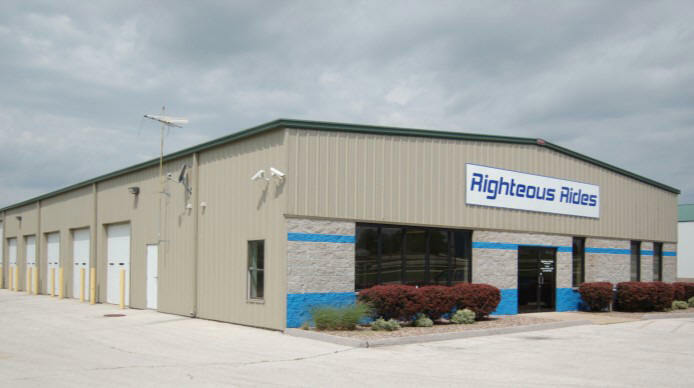 There is an IMMEDIATE NEED for a FULL-TIME MISSIONARY MECHANIC to work in their shop in Moscow Mills, MO, servicing the fleet of late model Chrysler minivans, as well as repairing and prepping donated vehicles to sell. CONTACT Righteous Rides for more information on serving in this way. I never even knew there was such a thing. What a great organization. Thank you for the information!